[SatNews] The 1st Space Operations Squadron at Schriever AFB, Colorado, will assume command and control of the Geosynchronous Space Situational Awareness Program (GSSAP) this summer. The satellites are a space-based capability that will operate in the near-geosynchronous orbit regime supporting U.S. Strategic Command space surveillance operations as a dedicated Space Surveillance Network sensor. Gen. William L. Shelton, commander of Air Force Space Command, directed the 1st SOPS to add command and control of GSSAP to the portfolio of Space Situational Awareness systems they control. Those include the Space Based Space Surveillance satellite and the Advanced Technology Risk Reduction (ATRR) satellite. The first two GSSAP satellites are scheduled to launch July 23, aboard a United Launch Alliance Delta IV booster from Cape Canaveral Air Force Station, Florida. The 1st SOPS will assume operation of GSSAP following launch and initial check-out. The satellites will communicate information through worldwide Air Force Satellite Control Network ground stations to the 1st SOPS where satellite operators will oversee day-to-day operation of the satellites. "This marks a great milestone for the 1st SOPS and AFSPC," said Shelton. "With the alignment of the GSSAP mission to the 1st SOPS, we will achieve new synergies within the Space Situational Awareness mission area. Operating the new GSSAP mission alongside our other space-based SSA systems will allow personnel to collaborate across multiple, highly capable SSA systems within the same squadron." Brig. Gen. David Buck, AFSPC Director of Air, Space and Cyberspace Operations, noted GSSAP adds a different SSA mission from those currently operated by the 1st SOPS. 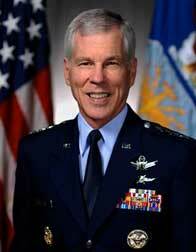 "GSSAP will not replace the capabilities that the 1st SOPS currently operates," said Buck. "SBSS and ATRR operate in low-earth orbits and have different capabilities. GSSAP will be placed in a near-geosynchronous orbit at approximately 22,300 miles above the earth. It will have a very distinct vantage point in relation to the objects it will be observing in geosynchronous orbit. With GSSAP, we will actually be able to characterize an object to a very discriminate level, not just track it." 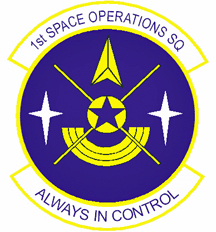 Other SSA capabilities operated by for the 1st SOPS include ATRR, which is in a Low Earth Orbit (LEO) and provides geosynchronous belt surveillance by producing metric observations. SBSS is also in a low earth orbit and provides metric observations as well as Space Object Identification data on satellites operating in geosynchronous orbit. GSSAP satellites are designed to support Joint Functional Component Command for Space tasking to collect space situational awareness data which will allow for more accurate tracking and characterization of man-made orbiting objects. GSSAP will operate in a near-geosynchronous orbit where it will have a clear, unobstructed and distinct vantage point for viewing resident space objects in the geosynchronous orbit regime without the disruption of weather or atmosphere that can limit ground-based systems. Data from GSSAP will uniquely contribute to timely and accurate orbital predictions, enhance our knowledge of the geosynchronous orbit environment, and further enable space flight safety to include satellite collision avoidance.